Thank you for visiting Kay Robbins' Gaywood Home Values website. Kay has been a resident of Wilchester and now a resident of neighboring neighborhood, Nottingham Forest. As a seasoned real estate broker for over 26 years, Kay knows the Memorial subdivisions, and has "first hand" knowledge of the schools. The web site contains the sales prices of homes in Gaywood gathered from the Houston Association of Realtors. Although the information you see here is anonymous, Kay can create a customized report for you. Plus, you can see all homes currently on the market in Wilchester. Houston's homebuying shows no signs of slowing down as a dwindling supply of homes sends prices to record highs. Gaywood sales last year had price ranges from $450,000.-$1,499,995. Obviously, the lower price range was for older homes and the higher for newly built homes. Lot values continue to increase this year, based on the builder demands in the Memorial area. The recent flurry of home buying, and the low inventory are causing multiple offers, driving the sales prices over list value in many areas. Kay invites you to bookmark and return to this site each month to stay up-to-date on the latest home values in your neighborhood. 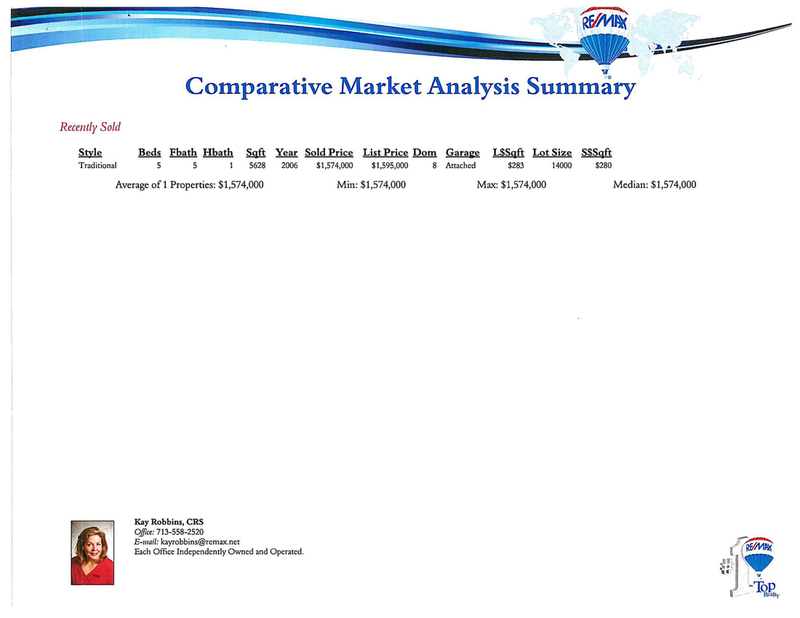 Information about the homes sold in Gaywood since January 1, 2013. Sellers, now is a terrific time to sell. If you'd like to know what your home in Gaywood is worth in today's Houston real estate market, Kay can create a custom report for you. Call her at 713-558-2520 or send me an email and receive the market insight.